Palmer's Penstemon is a drought tolerant perennial that prefers full sunlight. It produces soft pink flower that bloom May through July on tall, stout stems. 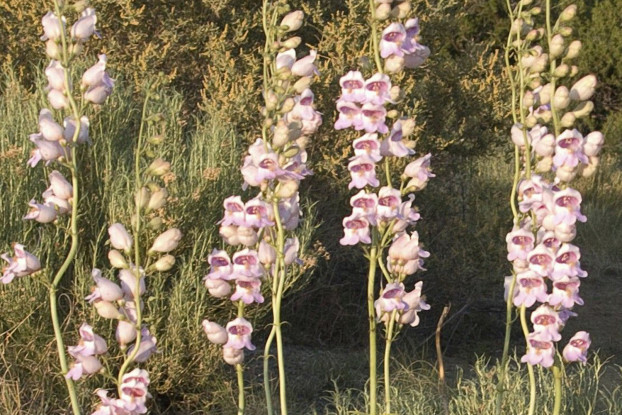 Palmer's Penstemon prefers open, exposed areas such as rocky hillsides, road banks, gravel pits, or gravelly washes. Its basal leaves are semi-evergreen and are palatable to livestock and wildlife during spring and winter. It is recommended for revegetating disturbed sites, especially on limestone soils.